Are you learning or teaching the four types of sentences? 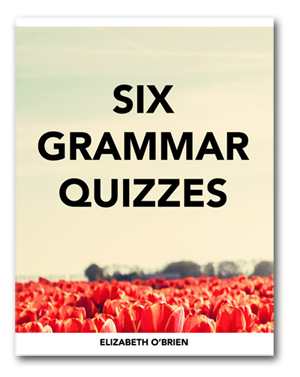 Use this grammar quiz to test yourself or your students! There are two sections with ten questions each, and the answers are at the bottom of the page. Enjoy! 1. Declarative sentences make statements. They end with periods. 2. Interrogative sentences ask questions. They end with question marks. Do I have to water the plant? 3. Imperative sentences give commands. They usually end with periods, but they can also end with an exclamation mark. 4. Exclamatory sentences express emotion. They end with exclamation marks. I love this plant! Are you ready to get started with the quiz? Great! Here we go. Directions: Identify and label each sentence as declarative, interrogative, imperative, or exclamatory. Example: I love cats! exclamatory 1. Where is my shovel? 2. This is the most beautiful lawn I have ever seen. 3. Please pass the lemonade. 4. My arms ache from digging the flower beds! 5. It takes hard work to plant all of these flowers. 6. Could you please give me the hose? 7. I am going to climb that tree. 8. The view from the top of this tree is amazing. 9. I can't get down! 10. Please help me to climb down this tree. Directions: Identify and label each sentence as declarative, interrogative, imperative, or exclamatory. Write the correct punctuation mark after each sentence. Example: The blue water in Greece is beautiful declarative, period . 3. imperative * Note that even when you say please, this is still an imperative sentence. You may be commanding someone politely, but you are still commanding them. 2. exclamatory, exclamation mark ! 3. interrogative, question mark ? 5. statement, period . * This is not a command. It would be a command if it said, Read Greek mythology. 9. interrogative, question mark ? 10. imperative, period . OR exclamation mark ! My students are enjoying the Get Smart program so much. Thanks for developing such a fun and exciting way to learn grammar. I never knew I could enjoy teaching this so much!